We designed the Peak 160 after speaking with outfitters and guides from across the country and collecting their thoughts on the ultimate performance paddle raft. The boat has proven to be way more versatile and accepting an oar/fishing frame. It is and great platform for a family, multi day, and paddle raft. Our semi-diminishing tube design provides a great platform for any water level. The Peak offers enough stability for big Spring flows and buoyancy for those low-water months, allowing you to run eight passengers and a guide. 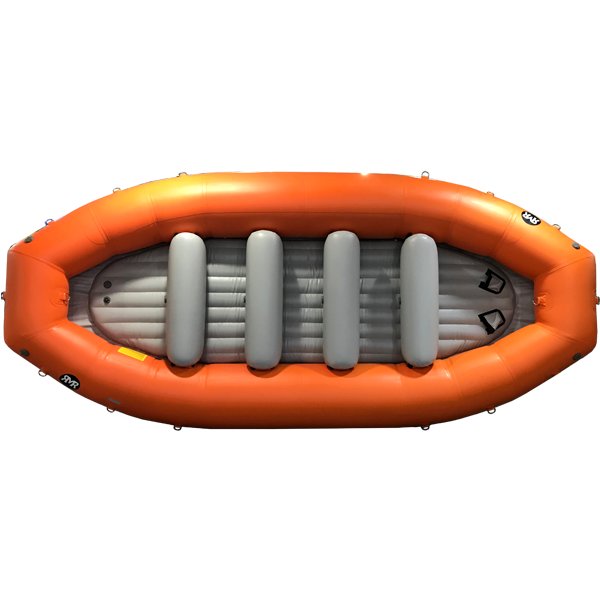 The same raft floats higher and turns quickly during the low water months, by lightening the load to six paddlers. This eliminates your need for a second fleet of low water boats. The Peak is a bomber raft that we are proud to offer at an industry-leading low price.